We are a leading Wholesale Trader of mezzanine floor from Thane, India. 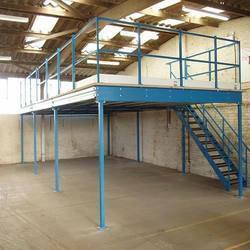 The installation of Mezzanine Floor provides the solution for the optimum use of space. The useful area of the premises can be doubled for the use as a storage or work area, offices etc.